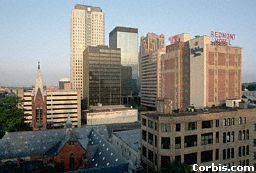 Here we are in Birmingham, a growing city of approximately 290,000 good folks. Birmingham is located in south central Alabama. 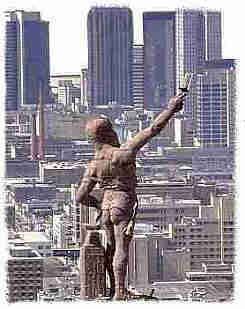 Reaching for the skies over Birmingham, the first thing that greets you as you enter the city is the Vulcan (better known as the Iron Man). This is the world's largest iron figure. 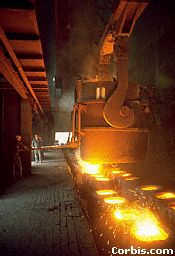 It was cast from Birmingham steel in Birmingham foundries. 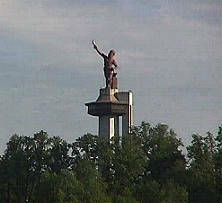 Vulcan has stood in its place atop Red Mountain since the 1930's. He stands 56 feet tall and weighs over 20,000 pounds! 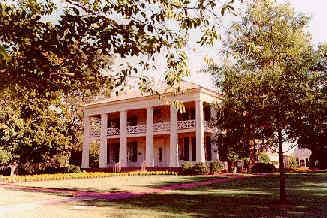 Arlington antebellum home is a fine example of Georgian architecture, dating from the 1840's. 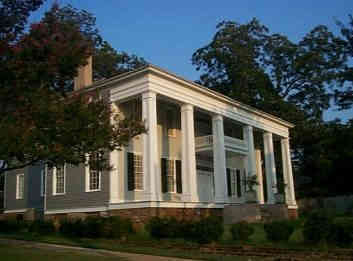 The house was built by Judge William S. Mudd, one of the ten founders of Birmingham. It is furnished with a collection of 18th century decorative arts and is located on six acres. 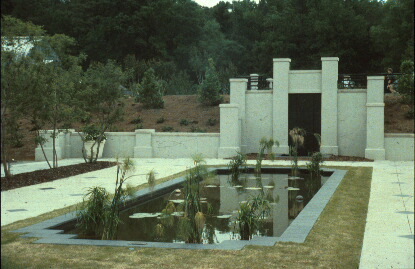 The Birmingham Botanical Society, as a volunteer organization, promotes knowledge and appreciation of plants and the environment. The Birmingham Botanical Gardens house the largest clear span glass greenhouses in the southeast. 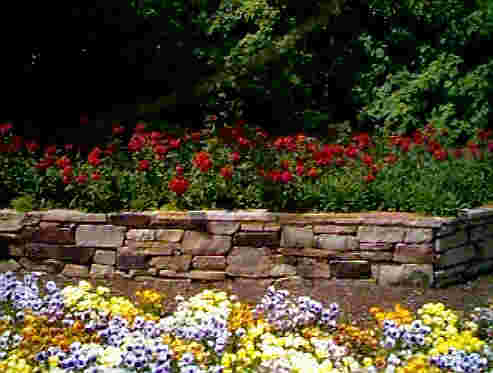 Let's just take a slow walk through the gardens for a minute and enjoy the beauty of it. This is such a lovely place, and we have beautiful day. 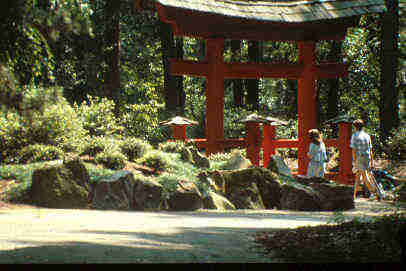 Let's continue our walk through some more of these gardens? I don't know about you, but I could spend all day here. However, there's still a lot of Birmingham to see, so we'd better get back to the Chevy and be on our way. 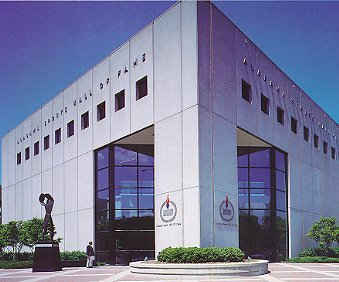 Established in 1967, the Alabama Sports Hall of Fame and Museum is dedicated to preserving and honoring the state's sports heritage. While time does not permit a tour today, we thought we'd drive by so you can see the building. The Hall of Fame has captured the state's greatest champions who have made their mark in American sports history. Just a few among them are: Hank Aaron, Joe Namath, Jesse Owens, Bart Starr and, of course, Coach Paul "Bear" Bryant. Here we are at Sloss Furnace National Historic Landmark. 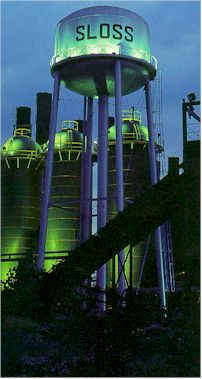 For almost 90 years, the giant Sloss furnaces produced pig iron to feed Birmingham's foundries and mills. With its massive furnaces and tall smokestacks, Sloss tells of Birmingham's dramatic rise as the South's foremost industrial city. Whew! Looks too hot to me. I don't believe I'd care to work there. 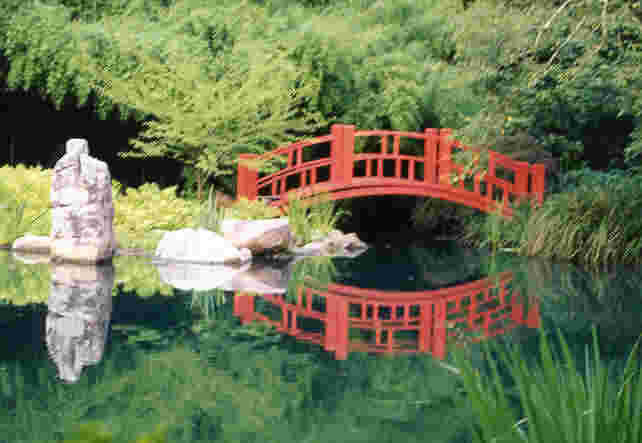 Well, we had a nice chance to stretch our legs at the Botanical Gardens, so where are we off to now? Only the Chevy knows. Guess we'll have to trust it and it's intrepid driver. 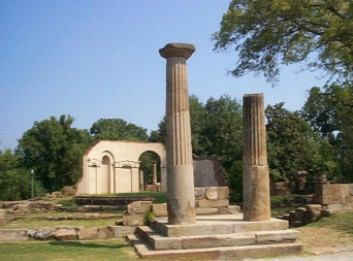 This is a small Southern town draped along the banks of the majestic Black Warrior River. It overflows with Southern charm and gracious hospitality. It served as the State Capital from 1826 to 1846 at which time, the capital was moved to Montgomery. This is all that remains of the Capital Building. The Collier-Boone home was built in 1820. 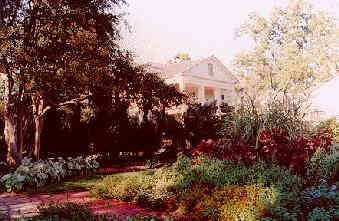 It served as home to Governor Collier who was in office from 1849 to 1853. 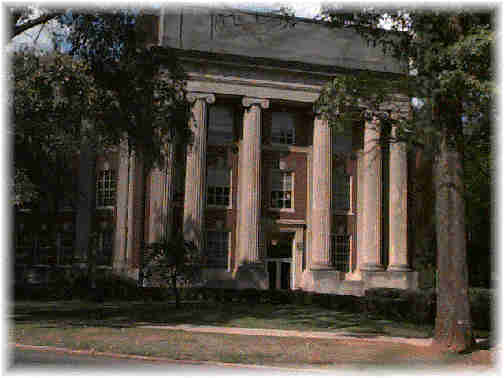 The University of Alabama was founded in 1831, just after Alabama gained statehood. 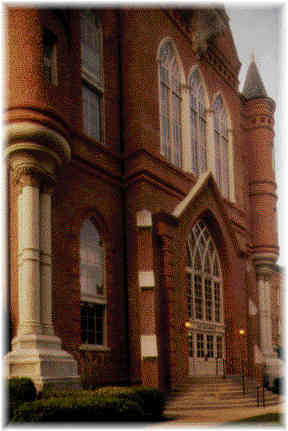 Most of the campus was burned to the ground by Union troops during the Civil War, but was quickly rebuilt. Let's park the Chevy in that nice shady spot over there, and take a walking tour of the campus. These are the famous Denny chimes. Here we're passing by the School of Music. 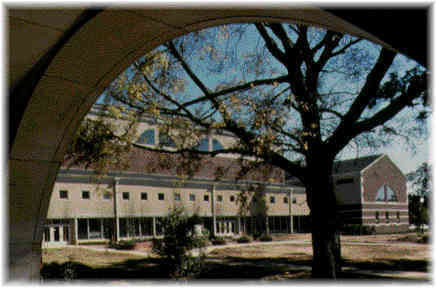 This is Bibb Graves Hall, the College of Education. Here we are at Clark Hall, the College of Arts and Sciences. 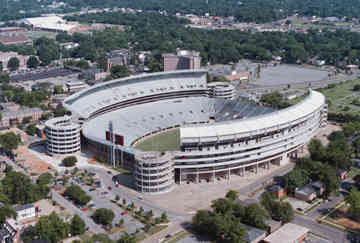 And our last stop on the campus tour is Bryant-Denny Stadium, home of the University of Alabama Crimson Tide. I see we've worked our way back to the Chevy. That shade sure has helped keep it cooler inside. We're leaving Tuscaloosa now and heading southeast. Buckle up, and click on the license plate.